Don't let hard and rocky soil go to waste — instead, learn to plant gorgeous blooms in it. The raised bed is filled with a quality garden soil. The soil won't become excessively compacted because you don't walk on it. This allows for good drainage and air movement down in the root zone. 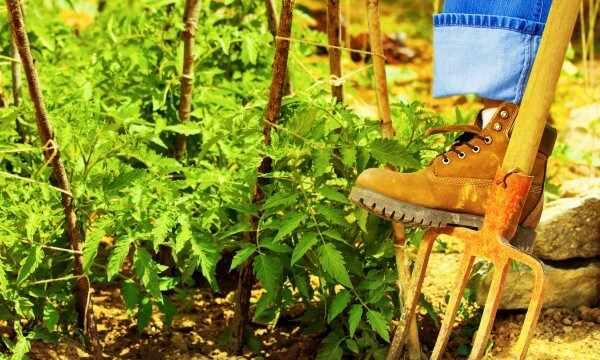 The garden is easier to plant and maintain because it's at a more convenient height. With the bed at 45 to 50 centimetres (18 to 20 inches) high, you can sit on the edge and work comfortably; 71 to 75 centimetres (28 to 30 inches) allows for wheelchair accessibility. If you're working on a slope, the raised bed creates a level terrace. The planter becomes a strong landscape design element. Make the raised bed planter as long as you wish, but limit its width to 1.2 metres (four feet) so you can work the garden from both sides. Reaching in more than half a metre (two feet) is hard on the back. 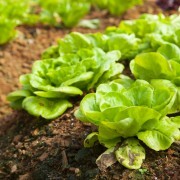 Consider the specific plants to determine the raised bed's depth. It should be a minimum of 20 centimetres (eight inches) deep. This will accommodate the roots of lettuce and radishes, but root vegetables and many perennials require more depth, so consider building it 30 to 45 centimetres (12 to 18 inches) deep. While the raised bed can be built from any of a variety of materials, modular concrete retaining wall blocks are ideal. Their uniform shape makes them easy to install, they'll last forever and their loose-laid installation allows for good drainage. Be sure to put a landscape fabric liner behind them to keep the soil from washing through the blocks. 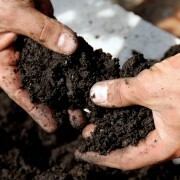 A good general garden soil mix is one-third topsoil, one-third composted manure and one-third sand. First mix these together with a shovel and then fill the raised bed. 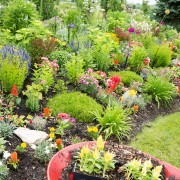 Establish and maintain the soil's fertility with mulch, composted organic material and/or chemical fertilizers. 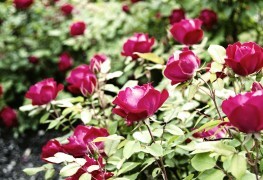 It holds the seed and soil in place during waterings and hard rains, especially on slopes. The cheesecloth also warns people to keep off your new grass. 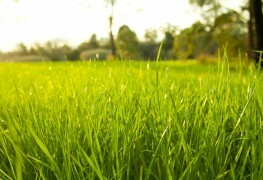 The grass grows through the cloth, which will disappear under the thickening grass and eventually decompose.